What if you could train your team to run a working industrial facility before they even step foot in the building? 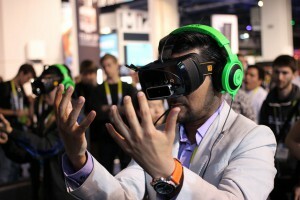 What might have seemed like a fantasy is now very much a possibility due to virtual reality (VR) technology. Your employees can now explore a detailed 3D model of your facility, allowing them to gain all of the knowledge and experience they need without the danger or complications of actually having to enter the facility themselves. In this post, we’ll talk about how virtual reality for industrial training can be beneficial to your organization. First, it may be helpful to learn a little bit about virtual reality technology itself and how far the technology has come in recent years. It may seem like the hype surrounding virtual reality has long surpassed its actual usefulness, but signs show that may be about to change. The Oculus Rift virtual reality headset is finally expected to launch to consumers in early 2016, after several years of industry buzz and anticipation. Even now, there are already about 180,000 Oculus kits in the hands of developers, indicating that momentum is building toward a rich and diverse virtual reality marketplace right from the launch. The launch has important applications for gaming, but most industry observers agree that the technology will have serious business applications as well, including tasks such as industrial training. In addition, money is pouring into VR from some of the biggest names in the technology industry, including Facebook (which acquired Oculus in 2014), Microsoft, and Google. Clearly, what has been a niche concept for so long is finally ready to become a part of the mainstream technology marketplace. With so much buzz and funding for virtual reality, it’s easy to imagine a time in the not-so-distant future when VR headsets will be as ubiquitous as smartphones and tablets are today. To put it quite simply, VR for industrial training has so much potential because it offers the benefit of actually exploring a facility, without having to physically be there. This means that training sessions can be held without the risk of interfering with normal operations. The technology required to produce detailed 3D models of industrial facilities is already widely available; it only makes sense that more companies will start choosing to take advantage of those models by putting their trainees in virtual reality situations. Another reason VR can be so useful for training purposes is that your employees will feel more engaged in the process. While traditional training programs can be boring, causing your trainees to tune out, VR training offers the thrill of getting to use the latest technology, ensuring that your employees will be involved and paying attention. As a result, you’ll be able to spend less time training your employees, while still getting beneficial results. Finally, VR for industrial training solves a problem that trainers have been grappling with for a long time now: the best way to learn the intricacies of a facility are to explore the facility and experience them for yourself, but doing so isn’t always going to be safe or practical. With virtual reality, your trainees will be able to explore a detailed 3D model of your facility in full scale, and be able to interact with the facility in real time. When they actually enter your facility, they’ll have the confidence that comes from feeling like they’ve already been there before. Best of all, they won’t have to risk injury in order to get that confidence. If you are ready to take advantage of VR for industrial training, Landpoint can help by providing the 3D models you need. Contact us today to learn more about getting a 3D model for your virtual reality training program.